Can't sign in with Firefox? Follow these instructions. Sometimes Firefox can prevent users from signing in to StudioBinder. This can easily be solved by clearing old site data that's stored in the browser. 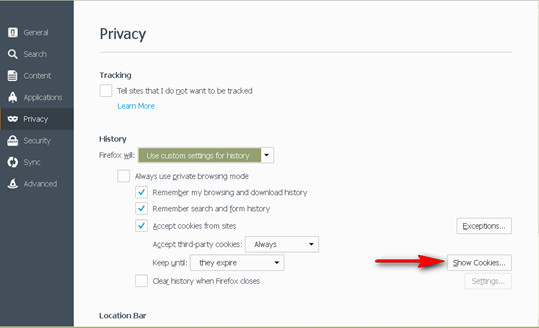 In the dropdown, select "Use Custom Settings for History"
After that, refresh StudioBinder, and try signing in again. Note: Here is an article that can help if you are having issues printing with Firefox.